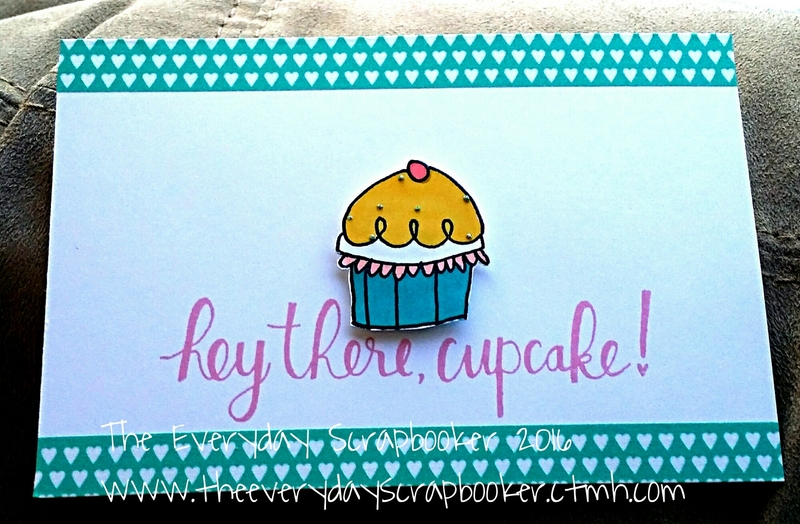 New month equals new stamp of the month! What is the stamp of the month, and what makes it so special? Well, as the name implies, it’s a new stamp set that’s featured every month at Close to My Heart, and it’s only available during that particular month. Once the month comes to a close, the stamp set is retired, and a new one takes its place at the start of the next month. Every month, it’s something different. One month, it could be pretty, frilly and floral, and the next it could be Christmas or Halloween themed. Much like September’s Just Treats SOTM. See it below. That’s part of what makes the SOTM special! It constantly changes, it’s available only for a limited time, and it’s an incredible deal. When a customer places an order on their consultants’ website- either online or by the consultant herself- when that order reaches $50 CAD, the shopper automatically becomes eligible to purchase the SOTM at a huge discount. Yes, that’s right. You’ll receive a steep discount when your order reaches $50 or more. This stamp set retails for $24, but you can get it for $6. Isn’t that amazing?! CTMH is all about giving back, so in addition to such a fantastic incentive for placing an order, they take it a step further, and give each shopper a break on shipping charges. Shipping is always $10 or 10% of the order total, whichever is greater. CTMH is honestly so generous! I’ve sent parcels myself, and shipping starts at $15 and goes up from there. To date, the most for shipping I’ve charged was nearly $30. We are getting a great deal on shipping from CTMH. There’s so much to love about this company; the two points I shared with you barely scrapes the surface of the iceberg. September’s SOTM is available for the remainder of the month. You can purchase it now from my website. Click here to visit my website and get your hands on this festive stamp set! Don’t forget, it’s just $6 when your order total reaches $50 or more! I just wanted to stop in and wish you all a merry Christmas and a bright new year. We will be having Boxing Week sales, so when I’m here next, it’ll be to share all the fab deals with you! In the meantime, thank you so much for your support and love this year. Looking forward to a new, and fantastic, new year with you! Happy Sunday! Ready to start your week? I’m ready to ship one of the twins off to school tomorrow. I think she’s ready, for the most part. One week left until Christmas! Are you ready? I still need to wrap presents, otherwise we’re ready in our house. A card using the emojis stamp set on page 70 in the Annual Inspirations catalog was my inspiration. I felt the stamp Cats Meow was more valentine appropriate, though. All the kids told me they liked the Emoji’s stamp better. I agree, but there’s nothing ‘valentine’ in the quotes that are included. Cats Meow fit the bill. Do you live in the Whitecourt area, and do you have children ages 5-11? This workshop is for you! I will cut and stamp everything for the kids. They can glue the pieces together and colour their cats in. There may be some pieces they will need help gluing, but I’ll be there to help them. I’ll supply pencil crayons and glue. Payment can be sent via cash or cheque. A lot of people prefer to send e-transfers, as well. I will place your order on your behalf. Placing bulk orders saves everyone moolah. The deadline to pay for the workshop is January 28, 2018. All your supplies will ship directly to me, so just worry about bringing yourself to the library, where our workshop is tasking place. Once your child is done, the leftover bitty sparkles and twine is all theirs. Want to come? Let me know! 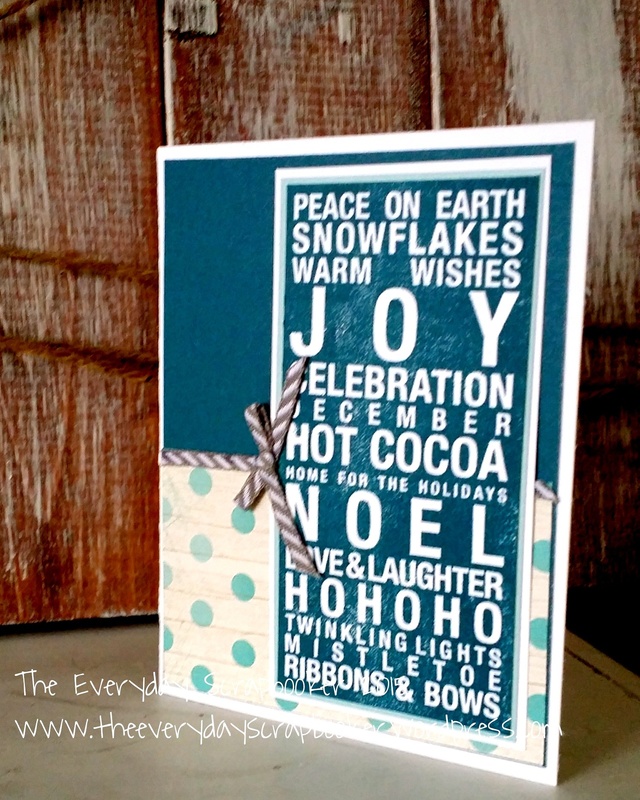 I have more Christmas card kits available. These ones were made using extra Beary Christmas paper. I paired this paper with October’s SOTM, Christmas Tunes and the holly came from another (retired) CTMH stamp set. For an extra touch, I used my MS glitter glue to colour in the holly berries and my Shin Han markers to colour in the holly inside the wreath. I couldn’t help but think of my watercolored paints while I coloured it in…I may do that the next time I use Christmas Tunes! I have a set of 5 cards available for purchase. It comes in an unassembled kit; everything you need to create them is included, and everything has been stamped, coloured and cut for you. Just put them together! I’ll ship everywhere. I accept PayPal and cash/cheque from my local peeps. Good morning! 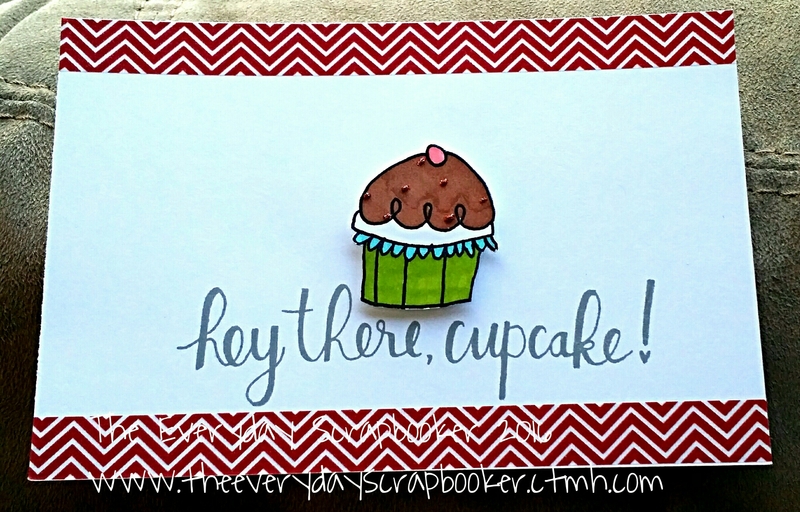 Welcome to Monday AND to National Scrapbooking week! Are you participating in any crops or NSD events and activities? Scrapbook Generation is hosting a week long online crop- starting today! Find them online and on Facebook under the name SG Scrap Squad. There’s something that’ll appeal to everyone! Sometimes, you can find scrapbooking supplies in the most unexpected places. The papers that I used in today’s layout cane from a liquidation store, years ago. I just now decided to use it. Aren’t they pretty?! I love the contrast of the floral paper from the gingham. 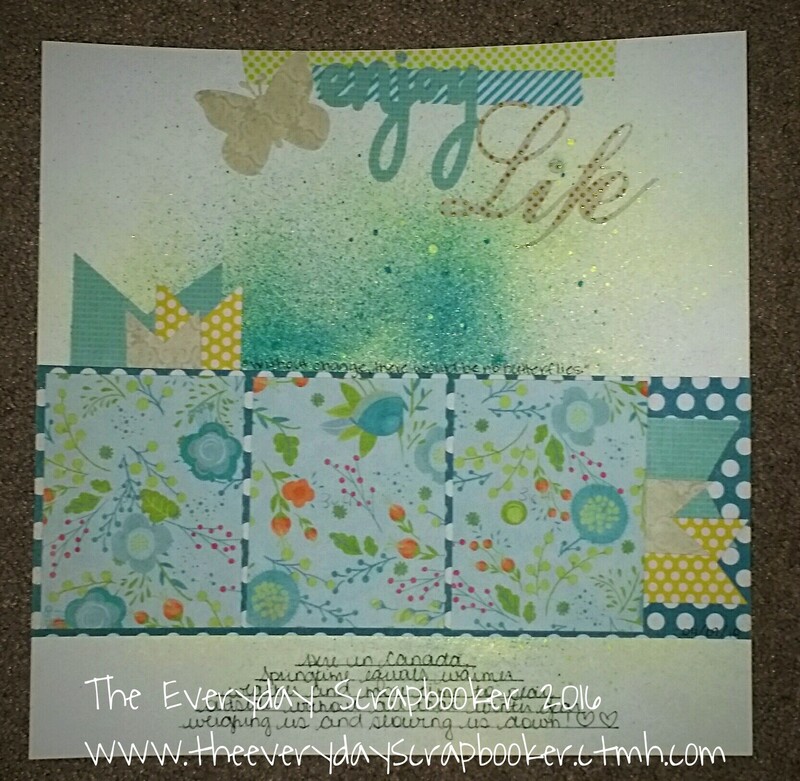 I combined those papers with Aprils’ CTMH Stamp of the Month- Life in Pictures. It’s full of vintage and fun camera stamps, as well as theme-fitting quotes and phrases. That adorable Polaroid is also part of it! (I used a pop-dot behind the camera to create a bit of depth). Since we’re embarking on a new month, there is a new stamp of the month. This one is delicious- it’s full of cakes and cake slices. Perfect for every birthday and special occasion that requires cake! This D size set retails for $21 CAD, but it can be yours when you make an order of $50. It can be anything- there’s no purchasing requirements to receive this beautiful stamp set. To sweeten the deal, combine your order with some friends and save on shipping costs! The easiest way to place an order is on my website. You can do it anywhere- while you’re on the go, or from the comfort of your own home. Visit my website here. Thanks for dropping by! I’ll be back again real soon with more layouts! Hello dear friends. I’m dropping in quickly to share another project with you. I’m home for part of today, then I’ll be on the road again. Life should return to normal for a couple days, then I’ll be on the move again- this time to pick up my kids. Who I miss already! It’s been only two days! Thank goodness they’re only gone for a few days. I might go crazy if it was any longer. I began this layout by spraying HS mists in the background and layered the patterned paper on top once it was dry. I cut the pennants using scrap CTMH papers- the photo mats are also CTMH (Blossom). The title was cut using my cricut and layered over miscellaneous washi tape from my stash. Please join me again soon for more layout inspiration. In the spirit of Valentines Day, I thought I’d share all the valentines I made for all the special peeps in my life. Seems kind of fitting, right? On Friday, I sat down to make valentines for my husband and kids. I didn’t get miss A’s valentine done until late last night. It’s hard getting things done when a certain someone won’t go to sleep. The design for Miss M’s card began percolating in my brain late Thursday night. I used CTMH Beloved Bouquet to create the base and shade leaves and flowers. The flowers are stamped in Peacock and Lagoon inks and the leaves in Sweet Leaf and Pear inks. The oval was cut using my Cricut Explore. 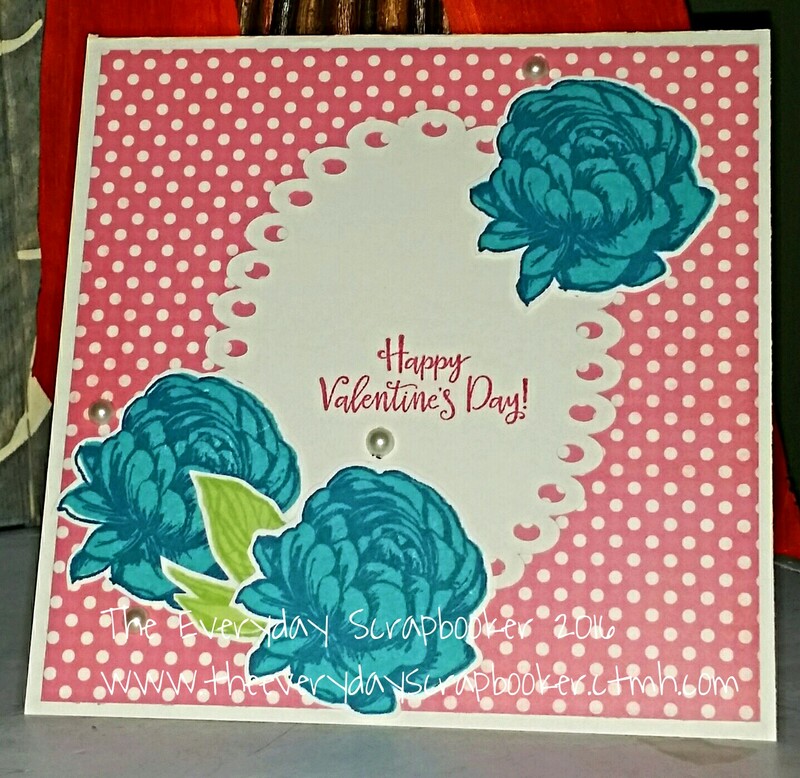 The card I made for A was inspired by a card sketch over at SG Scrap Squad’s Facebook group. 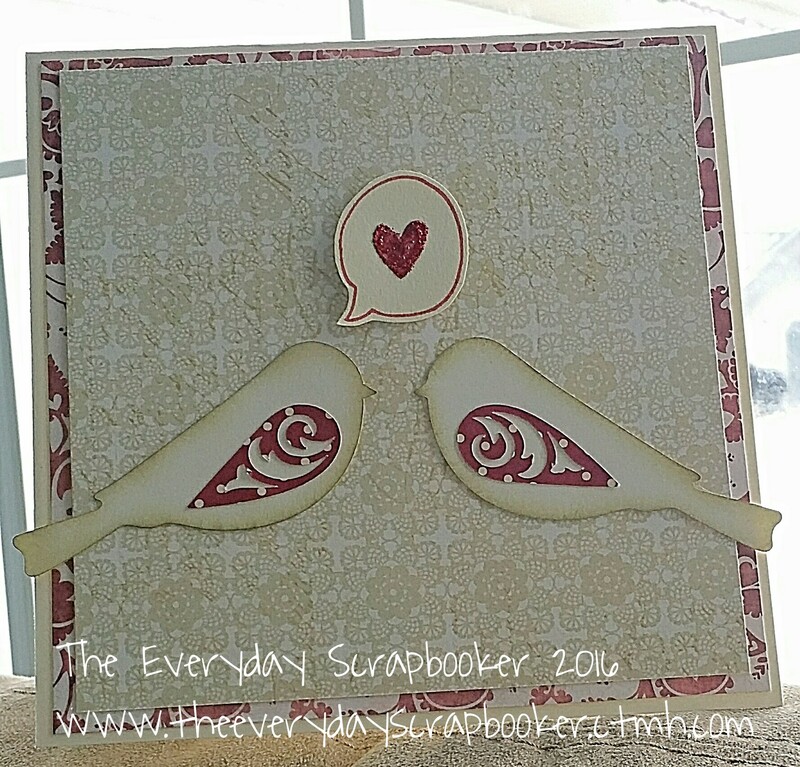 Clean and simple, my favorite scrapbook/cardmaking style. Swoon! 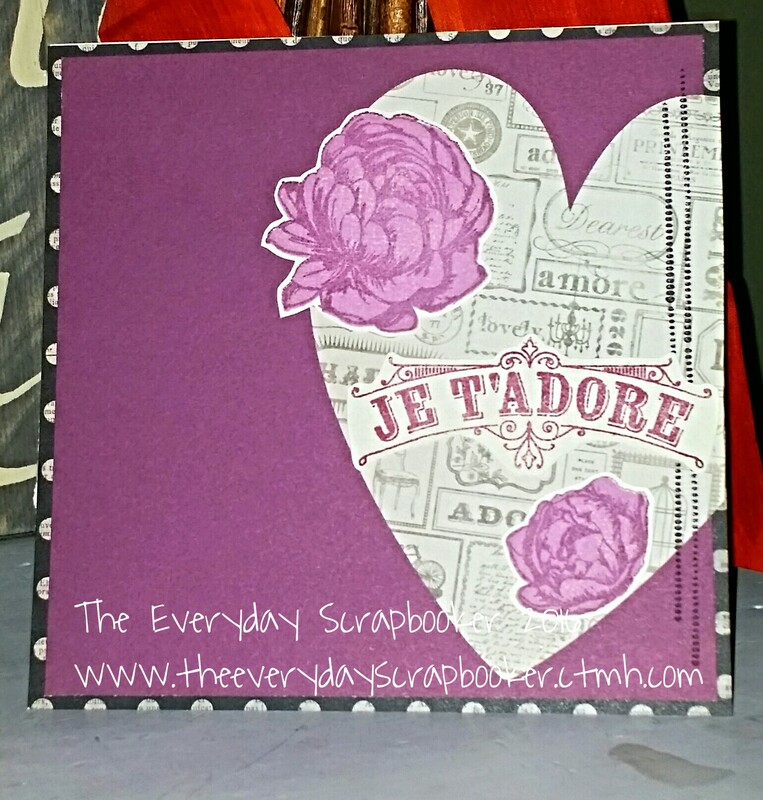 I matted the patterned papers with CTMH Eggplant cardstock, and stamped the flowers using Thistle and Eggplant inks. As you can see, Beloved Bouquet us also showcased on this card, too. Unfortunately, it’s no longer available for purchase. It was January’s stamp of the month. I sincerely regret not purchasing this stamp set earlier and showing it off. Isn’t it stunning?! If you have a child that loves purple anything, like I do, Eggplant cardstock and ink (and reinker!!) is a new product. You’ll find it on my website and it’s available to purchase! Lastly, I made a valentine for my husband. It’s completely my own design, much like M’s is. I cut the birds using my Cricut and adhered their wings using my CTMH liquid glass (available for purchase on my website). Note: it’s not just an amazing glue. It’s also fabulous for creating accents on your projects! It’s very versatile! To create some dimension, I inked the edges of the birds so they don’t get lost in the background. I stamped the heart using memento ink in rhubarb using CTMH Share the Love, then filled in the heart with MS glitter glue. Drop by again soon. I do love your visits! Hello, friends! These past few weeks have been incredibly busy between school activities and prepping for Christmas. This season reminds me that although there is much beauty in the season and festivities, there can also be sadness. Yesterday (December 10th) marked the one year anniversary of our very dear friends’ sudden passing. There have also been a few other unexpected deaths in our circle of family and friends this past week, so I took some time to create cards for our friends rather than scrapbook. I’d like to share them with you today. 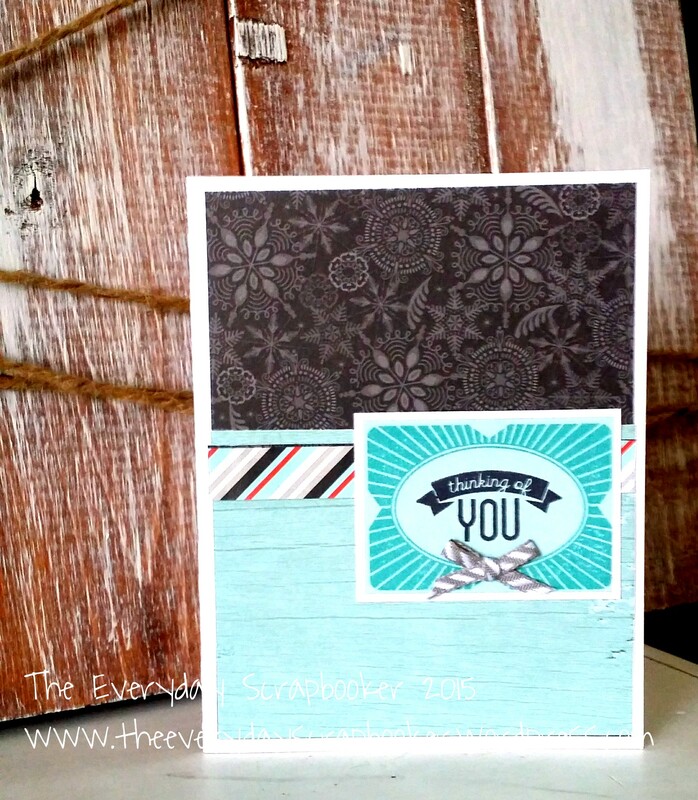 I also used my cuttlebug to emboss the background cardstock. This last card was made for sweet little #safyre. Have you heard her story? If not, Google her. She is a beautiful and inspiring little girl! My daughters even made cards for her- they’re sad she got hurt, but happy she’s alive. My thoughts exactly! You can find most of these items on my website. Visit me here to find them yourself! Hello friends! Welcome to December! Our elf, Snowflake joined us today but my kids don’t know it yet. 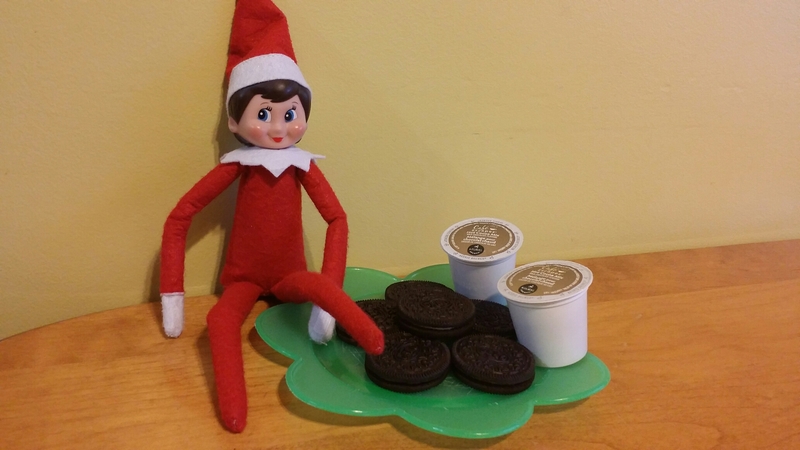 She left thrm some oreos and hot chocolate (k-cups) to snack on when they come in from playing outside. Do you participate in this tradition? I just had to scrapbook this picture of little miss A. It was the morning of her second birthday party (A few days prior to her actual birthdate) and we were preparing for a huge bash. In the pic, she was waiting patiently for her breakfast. I layered some Jillibean Soup, EP and CTMH cardstock papers, as well as created the title using corkboard letters I found at the dollarama. I cut the pumpkin with my cricut and layered thanksgiving stickers on top of it. I hope you join me again soon for another layout! If you like CTMH products and are interested in learning more about the products, please visit me on Facebook or visit my CTMH website. During the month of December, there are fun contests, sales and giveaways happening- check them out! Notably, this week ONLY is CTMH’s CYBER WEEK sale. 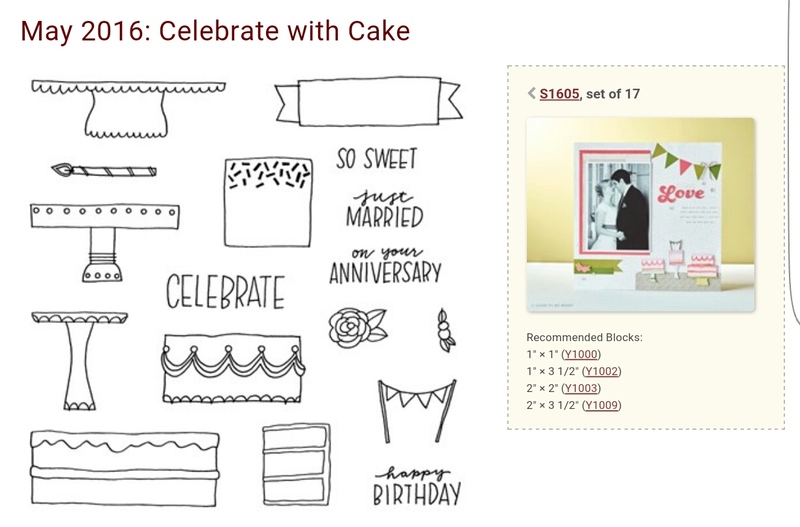 Nearly 40 card making and gift making products are marked up to 25% off, INCLUDING the Artfully Sent Cricut collection, which is exclusive to CTMH. Don’t miss out on all the fab deals! 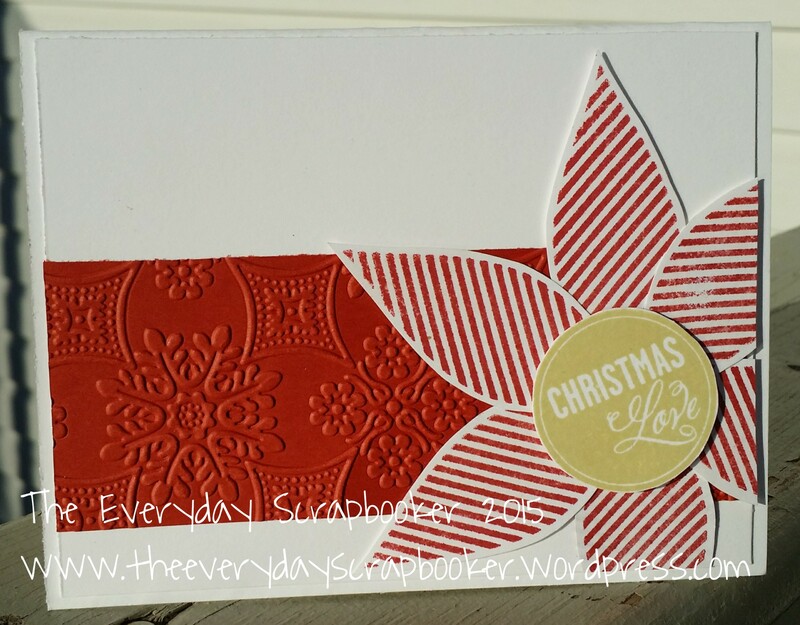 I thought this was ingenious: creating a poinsettia using the same ornament stamp I used on the cards I shared yesterday (scroll down to the next post to see them). The idea came about after seeing a card on Pinterest employ the same technique. What do you think? Once again, I used the October 2015 SOTM, Twinkle. I also used Flaxen and Cranberry inks. Lastly, for a little more texture, I embossed the cranberry cardstock with an Anna Griffin Cuttlebug embossing folder. 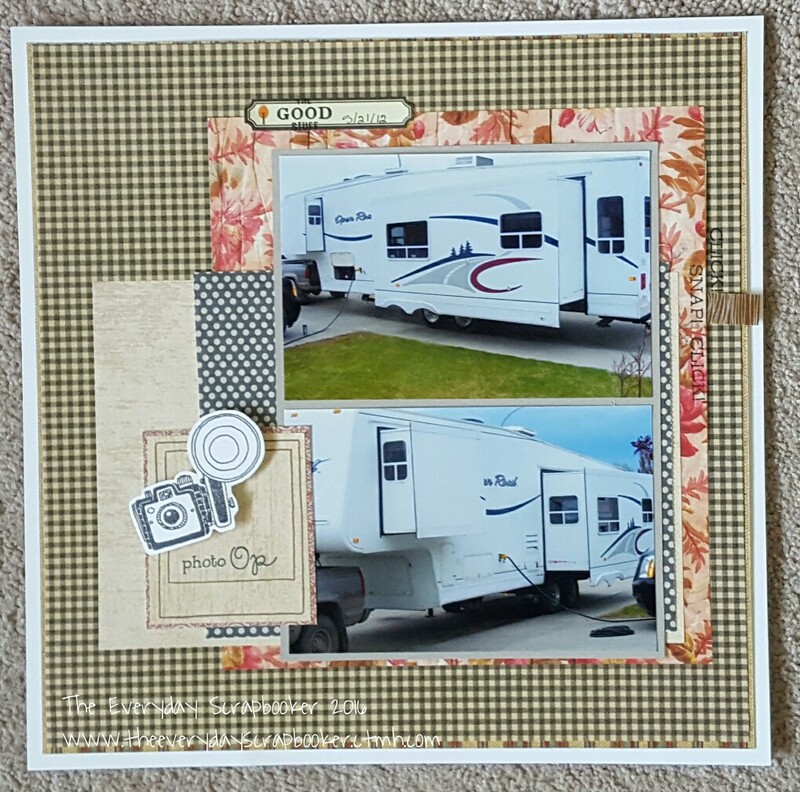 Join me again soon for some mini album inspiration using CTMH’s Year>> Noted (retired) collection!